I was asked recently if I could explain the process I went through as I became an Atheist, as this might help others going through the same process. Apart from not being sure I have anything much to offer people in this respect because I was very young at the time, this is actually quite difficult for me for another reason. Rather like a reverse of the parody version of evolution which creationists are taught to attack, where evolution is absurdly presented as a sudden event so that even a child will think it's silly, instead of the gradual process spread over time where one thing leads inevitably to another and several things can happen concurrently, my deconversion was a sudden event, or so it seemed at the time, not a slow, accumulative process, as it seems to have been with many others. But maybe this is because, being very young at the time, I hadn't really realised some sort of process was going on in my mind. So far as I was concerned, one minute I believed in the traditional Christian god, gentle Jesus, meek and mild, the Virgin Mary, wise men, shepherds, and the souls of dead babies riding up to Heaven on sunbeams, and the next, I didn't believe a word of it. I have related this before in The Light Of Reason so I'll just briefly run through it again then look at what a few other well-known atheists have said on the subject. In the mid 1950's there were a series of 'history' programs for Primary Schools on BBC Radio, and, bizarrely, these included Greek, Egyptian and Roman mythology as history. And of course, being a Church of England school we had been fed all the Old Testament stories of Joseph and his coat, about Potiphar and Moses and plagues of Egypt, all against a backdrop of other people believing in other gods that we were being taught about as history, where these other gods spoke to people like Jason, Agamemnon and Pheidippides, just like they spoke to Moses, Abraham and Mary. I also loved reading about Greek, Roman, Norse and Persian mythology and heroes who bravely died for their causes. My father had also spent a large part of WWII in India and spoke fluent Hindi so I was vaguely aware of Hindu gods too. What had been bothering me for some time was why everyone else had been wrong. Why did these people think they were hearing the voice of gods who didn't exist, and even seeing these non-existent gods? In particular, although, obviously, only the Jews had got it right and only they had been hearing the voice of the only real god when everyone else had been mistaken, yet when it came to Jesus, just like everyone else, they got is completely wrong too! Now it was the Romans who, although they got everything else wrong, and had been as wrong as the Egyptians, the Greeks, the Vikings, the Persians and the Hindus until then, suddenly got it exactly right about Jesus - and a good thing that was too, otherwise we would be as bad as the Jews and then where would we all be? I was only 9 at the time and the Pope was still assuring people that the Holocaust has been God's punishment on the Jews for killing Jesus, just like Hitler and our self-righteous, church-going, cane-wielding teacher said. 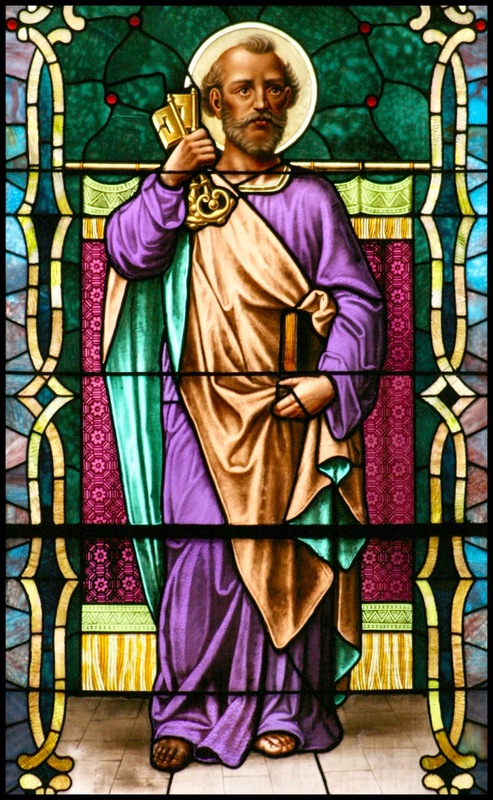 Then, one day, during an end-of-term church service I noticed a stained-glass window with the picture of what I assumed was God (it was probably a saint, but no matter). He was wearing a purple Roman toga. Suddenly a light switched on in my mind and I knew that Christianity was just another Roman myth. The answer to the question of why all the others got it wrong and only the Christian Romans got it right, and why the Jews had got it right up to a point, and right in every single detail too, then spectacularly got it all wrong, was simple - they had all got it wrong! It was like a religious conversion. A thrill of excitement and the world seemed different. From that point on I knew that the stories of gods are all just man-made myths. There is no reason at all to assume that just one of them isn't and that I had had the great good fortune to be born to parents who just happened to believe in the one true god. There was now no reason to feel smugly superior to all those other people who had been mislead by their parents because they were either too stupid or too evil to to know any better. And there was now no reason to be satisfied with my status as the child of agricultural workers destined only to work in the fields and factories of the wealthy because the church told me that was what God had created me for. And the birds, animals, wild flowers and trees I loved to learn about were now not the mere creations of a magic man but had to have a better reason to be the way they were - something to be awe-inspired by, not dismissed as a conjuring trick. This planet suddenly became a place of mysteries to be solved not a place to be arbitrarily assigned a cause and dismissed. I saw almost immediately that "God did it!" as the answer to everything was the answer to nothing. I started to read books about nature and science and the more I learned the more marvelous everything became and the more questions it raised in my mind. And the more questions I had the more I wanted answers. I didn't even know there was a thing called Atheism at the time. All I knew was that I had no reason to believe in magic sky fairies and so no reason to assume they had ever done anything. Science might not yet have all the answers, but it is the only way to be anything like sure that we have the right answer. The thought of uncertainty and doubt become liberating things driving the quest for knowledge and understanding. Certainty is a prison. And that's really the story of my sudden enlightenment, which probably isn't much help to those struggling to escape the clutches of childhood indoctrination and theophobia unless they too have been having real doubts and just need that trigger to see things as they really are, not how they've been told. So, let's looks at how a few other people who have deconverted from religion to Atheism. Once you start asking yourself questions like, ‘How do I really know there is a God?’ you are already on the path to unbelief. During my documentary on St Paul, some experts raised the possibility that his spectacular conversion on the road to Damascus might have been caused by an epileptic fit. It made me realise that I had taken things for granted that were taught to me as a child without subjecting them to any kind of analysis. When you think about it rationally, it does seem incredibly improbable that there is a God... I feel internally happier than at any time of my life. I am happy and actually it’s fine. I don’t miss my faith. In many ways I feel more settled and happier in myself without it. I don't know if that is related to losing my faith or would have been the case anyway, but it’s a non-issue as far as I am concerned. Seven years on I don’t feel a gap in my life and I suppose that's the proof of the pudding isn't it? Had I suddenly thought that life doesn't quite feel right, maybe I’d re-examine that – re-examine my faith. In fact, more than ever, I feel comfortable with where I am in life. So, how many religious people ever realise they are taking things for granted that have been taught to them as a child? How many religious people ever ask themselves how they really know there is a god and so start on that road to unbelief? It probably takes real courage, honesty and self-confidence to accept that 'faith' alone is not a way to really know something otherwise all other faiths would be true. The problem I think here is finding the courage to admit that what you had always assumed was true just might not be; that your parents could have been wrong, just as their parents could have been wrong, and just as the parents of all the Muslims, Jews, Hindus, Greeks, Romans and Persians got it wrong. And then there of course is fear. The fear that whatever god you are beginning to question just might be real and the grotesque punishment he has reserved specially for you just might be real. But then, if you're wrong about that god aren't you wrong about the punishment too? And if you're not, aren't you telling that omniscient god that you're going to just pretend to believe in it hoping you can fool it? Is that really the god you believe in? And why would you be trying to fool a god you don't believe exists? Ayaan Hirsi Ali, the feminist, human rights and anti-Islam campaigner mentions this fear in her account of her deconversion from Islam. So, for Ayaan Hirsi Ali, deconversion was like leaving prison and one of the keys that had kept her prisoner was the imaginary threat of Hellfire. Why would a benevolent god keep someone prisoner with threats? That's the act of insecure priests who know they have nothing to offer in terms of evidence or logical reasons to remain subject to their control and authority. Another of Ayaan's keys was knowledge. It's easy to see why so many fundamentalist religions fulminate against science and the acquisition of knowledge when it is so much easier to keep ignorant people compliant by feeding them magical answers to 'mysteries' where there is either no mystery at all or science is working towards a perfectly rational answer. But perhaps the important thing was the realisation that she was being kept prisoner not by anyone but herself. The keys to her escape were in her own hands. On the one hand I was happy with the direction and fulfillment of my Christian life; on the other hand, my intellectual doubts were sprouting all over. Faith and reason began a war within me. And it kept escalating. I would cry out to God for answers, and none would come. Like the lonely heart who keeps waiting for the phone to ring, I kept trusting that God would someday come through. He never did. The only proposed answer was faith, and I gradually grew to dislike the smell of that word. I finally realized that faith is a cop-out, a defeat—an admission that the truths of religion are unknowable through evidence and reason. It is only indemonstrable assertions that require the suspension of reason, and weak ideas that require faith. Biblical contradictions became more and more discrepant, and apologist arguments became more and more absurd. When I finally discarded faith, things became more and more clear. But don't imagine that this was an easy process. It was like tearing my whole frame of reality to pieces, ripping to shreds the fabric of meaning and hope, betraying the values of existence. It hurt badly. It was like spitting on my mother, or like throwing one of my children out a window. It was sacrilege. All of my bases for thinking and values had to be restructured. Adding to that inner conflict was the outer conflict of reputation. Did I really want to discard the respect I had so carefully built over so many years with so many important people? But even so, I couldn't be distracted from the questions that had come to the forefront. Finally, at the far end of my theological migration, I was forced to admit that there is no basis for believing that a god exists, except faith, and faith was not satisfactory to me. I did not lose my faith—I gave it up purposely. The motivation that drove me into the ministry—to know and speak the truth—is the same that drove me out. I lost faith in faith. Barker, Dan (2009-05-01). Godless: How an Evangelical Preacher Became One of America's Leading Atheists (p. 39-40). Perseus Books Group. Kindle Edition. Dan Barker then goes on the relate how he struggled not so much to come to terms with his deconversion but with the problem of how to adjust his life to take account of it and to be honest not just with himself but to those around him, and in particular to the church congregation he was still preaching stuff to that he knew was wrong. The biggest problem was not in accepting what he now knew to be true but in the fact that so much of his life, his relationships, his reputation and his livelihood had been invested in his faith. For many people I imagine these problems would be almost insurmountable and strong motivators for telling themselves that somehow they must be wrong. Anyone struggling to go through the same process should read Dan's book. What we can see in all of these accounts, mine included, is not a conscious attempt to become Atheist. There was no looking for reasons to stop believing in whatever god was believed in; no search for proof that gods don't exist, even if that were remotely possible, and not even a conscious desire to leave a faith. There was none of the hatred for God that sanctimonious theists condescendingly accuse us of or any feeling that this or that god has let us down in some way. There was just the realisation that there was no reason to believe in any gods any more, and that there never really had been. All our reasons for belief had been based on assumptions, the main one being that our parents and our peers must have the right beliefs. The rest was down to a willingness to settle for easy answers, to ascribe every mystery and every unknown to this god thing, reinforced by the authority figures in our culture that we just assumed knew best and wouldn't be telling us something that they had no evidence for. In many ways our faith was like Dan Barker's account of theology students given the traditional list of 'eye-witnesses' to Jesus' existence and the accuracy of the Bible. They just memorise the list and quote it as evidence but never actually check its validity, assuming, because they are being told it by authority, that someone else must have checked it and the evidence is in a book somewhere where they can find it if ever they need it - only no-one ever does because no-one doubts the word of the authority figures. And these theology students become the next generation of authority figures who tell the next generation of theology students that there is a long list of eye-witness accounts to prove the historicity of Jesus and the accuracy of the Bible. And yet when you check, not only is the list not a list of eye-witnesses because no-one on it was alive at the time, but none of their accounts are better than an account of folkloric beliefs or an account of someone else's belief, or highly oblique references if that. Or they don't mention Jesus as all or any of the events attributed to him and appear to have been added to the list for mere padding. And at least one of them is almost certainly a forgery done by someone only too acutely aware that there were no authentic eye-witness accounts. Just like the religion itself, and all religions for that matter, the 'evidence' is quite simply not there and yet authority figures tell the next generation that there is plenty of reason to believe and believers tell themselves that someone must have checked otherwise they wouldn't be being told this stuff in the first place. And so the entire edifice hangs from skyhooks and never makes contact with reality at any point. One can see how in the past when faith was questioned torture was endured by those who had the temerity to question their faith. It was called the inquisition. It was designed to test the will under extreme pain. To be put to the question forced unbelievers to recant. This cruel strategy was dropped when logic proved that this works both ways on unbeliever and believer alike. It is interesting to note how much societal pressure is being applied to revive the God thing. The BBC proliferates with so much of even David Cameron and Nigel Farage are promoting God. Nick Clegg the atheist and those Labour fence sitters are looking quite shaky. We may be reaching a new point of no return when intellect finally defeats the obfuscation of supernatural faith. Who knows? Thanks for another great article. Abiogenesis - Metabolism Without Cells. Life On Mars? Death For Creationism?